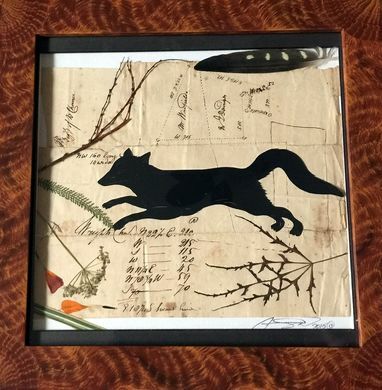 Fox is hand cut from silhouette paper on antique document accounting for land measurements. Pressed leaves & flowers are treated with archival mat finish glue. Feather from my bird.